Ever since they first hit the shelves, one of the best reasons to get a Google Pixel phone has been their camera performance. Pixels have always been known for their ability to take great photos – and not only because of the capable camera hardware built into them, but also thanks to the intelligent image-processing algorithms behind Google's always-on HDR+ feature. The newly announced Pixel 3 and Pixel 3 XL are, as expected, also touted for their camera prowess. Camera hardware improvements appear to be minimal, but on the software side, Google may have taken its camera game to a whole new level. While it's too early to compare their camera performance against that of other high-ends, let us explore what new camera goodies the Pixel 3 and Pixel 3 XL bring to the table. 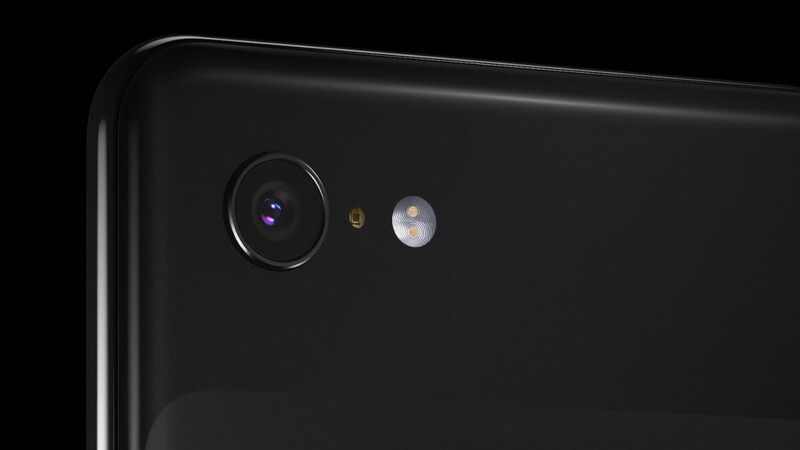 As the case was with Google's previous models, both the Google Pixel 3 and the Pixel 3 XL have the same cameras on the front and on the back. Again, hardware upgrades appear to be modest, with one notable mention being the removal of laser autofocusing in favor of dual-pixel PDAF. Meanwhile, features like image resolution, optical specifications, and the size of the sensor remain unchanged. On the front, however, we now have not one but two cameras, with one of them sporting a super wide-angle lens. We'll take a closer look at those later. Google Lens is now built into the camera, meaning that you don't have to activate it yourself. With its help, you can identify real-world objects, such as landmarks or types of flowers. Also, you may get shopping suggestions for the item you're pointing the camera at. Object tracking is available on the Pixel 3 and Pixel 3 XL. The focus remains locked on an object even if it is moving – perfect for taking shots of Fido, who just can't sit still! Portrait mode is better than ever. On the Pixel 3 you can adjust the strength of the bokeh effect, change the focus from one subject to another, and make a subject pop by making the background black and white. As before, the Pixel 3 and 3 XL camera app does its HDR+ magic. It takes multiple short exposures of the scene and then layers them on top of each other, picking the best parts of each frame – and this is done silently in the background. The result is a brighter, clearer image, and without any shutter lag at that! 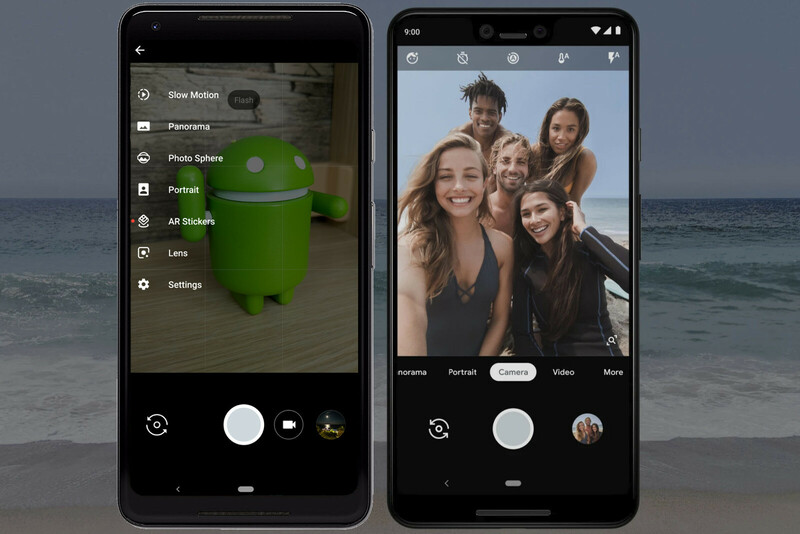 The custom Pixel Visual Core image processor is still present, letting third-party apps tap into this camera potential. but that's far from all. In fact, the Pixel 3 and Pixel 3 XL bring several advanced camera features that both novice and expert photographers will appreciate. 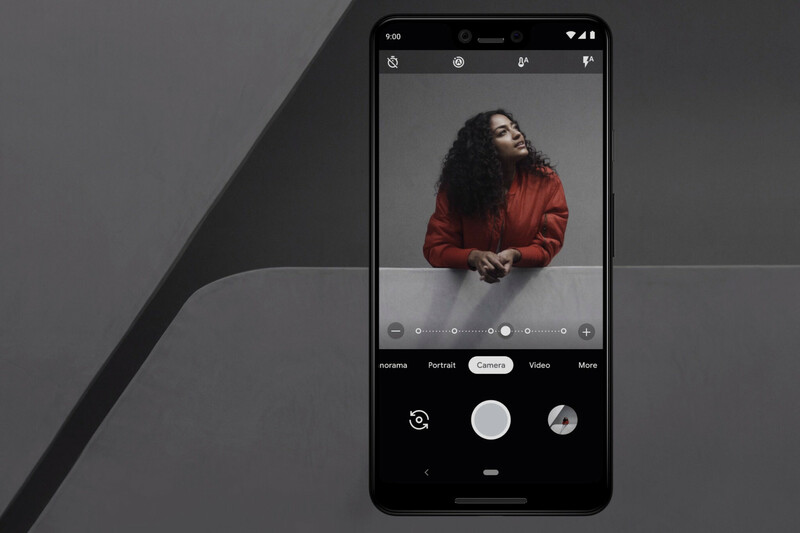 With Top Shot on the Pixel 3 and 3 XL, the photo is taken for you – literally. The phones begin storing individual frames in memory as soon as the camera app is opened, and if the photo that you snap doesn't look quite perfect (say, someone blinked or sneezed), a better shot will be suggested, picked from the ones cached a moment earlier. Sony's top Xperia phones have been doing this for some time, and indeed, the feature does come in handy. Google points out that cached images are captured in HDR+, so the convenience of Top Shot comes with no dip in image quality. Now this one's a doozie! 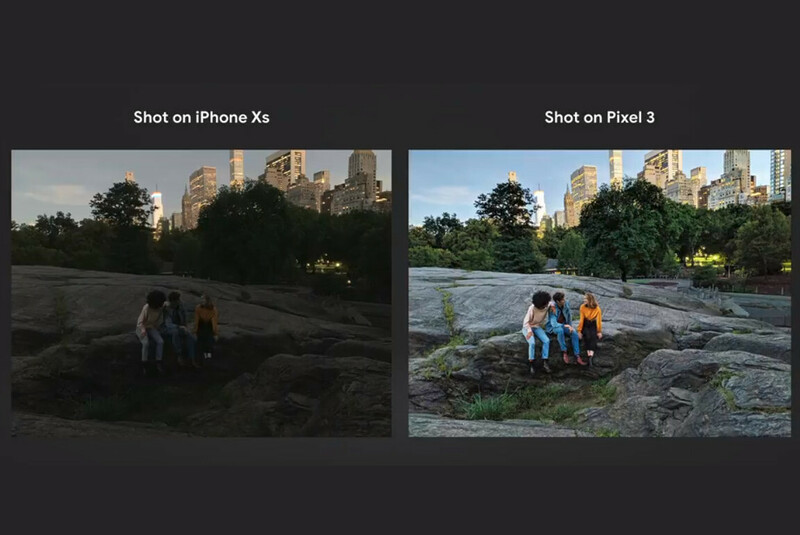 Unlike phones like the iPhone XS and the Galaxy Note 9, the Google Pixel 3 and Pixel 3 XL do not have a dedicated telephoto camera for zooming optically. They do, however, come with a new feature called Super Res Zoom. As the name implies, this enhances the clarity of digital zoom, and it does this in a truly awesome way. You see, your hands are never perfectly still as you take a photo. When Super Res Zoom is engaged, Google's camera algorithms use multiple frames and the slight tremors of your hand to fill in the missing detail. We don't have any real-life samples to share, unfortunately, but this is definitely a feature we're eager to test for ourselves. All phones come with a flash at the back, but that flash does not always produce flattering results. Night Sight is a feature for taking better – and brighter – low-light photos without a flash. This is once again achieved through stacking multiple frames and picking the best parts, but Google also applies machine learning to enhance the color of the image. The comparison images above came straight out of the cameras, Google says. Night Sight will be made available on older Pixel phones as well. The dual front cameras on the Pixel 3 and 3 XL aren't just for show. You now have a second camera with a super-wide angle of view, allowing you to fit the whole party without having to step back. This dual-cam approach has been employed on other phones already, most recently on the LG V40. But there's a trade-off: wide-angle lenses add noticeable distortion around the edges of the frame. They're also terrible for video calls and tend to be less sensitive to light. So you'll definitely want to use the main cam for video chats and plain-old selfies, especially in lower light. Speaking of selfies, Google has thrown in a new camera feature called Photo Booth. Simply put, it takes a photo for you when you smile, pose, or make a funny face. And to top it all off, Google is transforming its AR Stickers into a new feature called Playground. Again, you're given the freedom to add augmented reality characters to your photos and video – you can have Iron Man or Hulk showing off their superpowers or even Childish Gambino dancing in the frame. Can anyone confirm if these are in fact new sensors and not just the same sensors from last year with a fresh coat of AI paint thrown on it? Either way the Google camera mod gets me close enough to Pixel performance when I want it so I think I'll get the V30 and keep my QuadDAC and microSD expansion. If the Pixel 3 has stereo recording which Google did not mention I would be all in on the Pixel 3 though but I doubt it. I'm very interested in the Night Sight mode, but I prefer to wait for the real life test as OEM tend to lie with their marketing images. Ok im just gonna come out and say it pixel 2 camera wasnt all that great comparing to flagships released in 2017. Im not sure why all the tech blogs are raving about it. There is always this blue hue with all their photos and it appears the software sharpening is very aggressive. Maybe all the positive reviews somehow had a psychological effect making us think pixel cameras are good while th difference between flagship phones are really negligible and subjective. All these great photos you can't save on a SD card. What about videos ? Is there something new like HEVC recording ?